The speed at which the world is evolving is compounding exponentially each day, leaving individual investors wondering how to appropriately plan for their financial future. The financial norms that helped prior generations retire with grace are quickly evaporating or have already been replaced with new difficult realities. Money Mindset is an expert-led guide to growing your wealth, protecting your wealth, and transferring your wealth to future generations. Written by a third generation financial planner who is also an adjunct finance professor at the W.P. 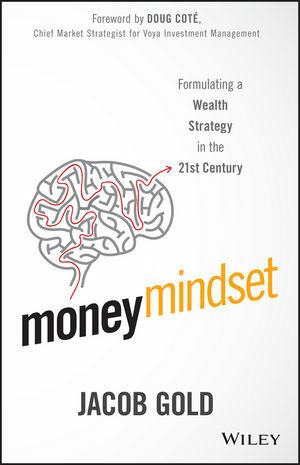 Carey School of Business at Arizona State University, Money Mindset helps readers understand important financial concepts and theories of the 21st century. Money Mindset explores the idea that money can be looked at as an energy source. In order to truly harness its powers, one must acquire and maintain a certain money mindset. Everyone wants financial independence—having enough money to consistently fuel their everyday life. Money Mindset clears a path through the increasingly convoluted and ever-changing world to show how to finally become financially secure. JACOB GOLD is the President of Jacob Gold & Associates, Inc., a private wealth management firm located in Scottsdale, Arizona. He and his team provide personalized, comprehensive financial guidance in the areas of retirement planning and wealth preservation. As a third-generation wealth manager, CERTIFIED FINANCIAL PLANNER™ practitioner, and adjunct professor of finance at Arizona State University, his understanding of financial planning and investing seems to be embedded in his DNA. He was mentored by his father and grandfather at a young age and learned the fundamentals of the flow of money, the management of money, and the psychology of money that have helped him throughout his life and career. Gold is also a trusted source for market-related commentary and shares his knowledge with some of the largest names in the media world. In addition to his regular personal finance articles for U.S. News & World Report and the Huffington Post, he regularly shares his financial philosophies with a number of media outlets, including the Wall Street Journal, USA Today, the New York Times, Newsweek, and CNBC.